The Strange Language of Spam. There’s something oddly beautiful about spam. Like many websites, mine gets its fair share of random, ridiculous comments. Though it also gets the occasional troll (only last week, a genuine commenter “felt shame on my behalf” for an article) my greatest enjoyment comes from the spam comments. Is this odd? When reading large swathes of authors’ work, my enjoyment of them can be determined by the writer’s command of rhythm and not merely narrative quirks or excessive description. This manifests itself with obsessions in the work of James Joyce and Virginia Woolf among others yet when an author like Joyce has tried to remould language to suit his own forms and streams of consciousness, no matter how stubborn a book like Finnegans Wake can be, their sense of randomness is only partly achieved. Of course his obvious experimentation in various chapters of Ulysses display equal disregard for grammatical rulings but they still hark back to going against a basic ruling; proving the rule exists by breaking it so to speak. Taken out of context of a website spam comment, a Joycian tourist could easily be persuaded that this is perhaps Stephen Dedalus talking about opening the mail on that cold, windy morning in Dublin. This however, it just the tip of the iceberg. In language terms, this is tame compared some of the beautifully conceived nonsense that appears on my website. There is some basic reasoning behind the sentence though and this is what makes it a marvellous achievement; machine made produce making mistakes in the most un-machine like of ways. Even as I type, this machine is desperately trying to tell of that sentence’s mistakes; its lack of right to exist in its current form. Red and green wavy lines are angrily marking it out as infected with chaos hoping desperately that it will be changed before it moves on to the next stage of its life (reading). 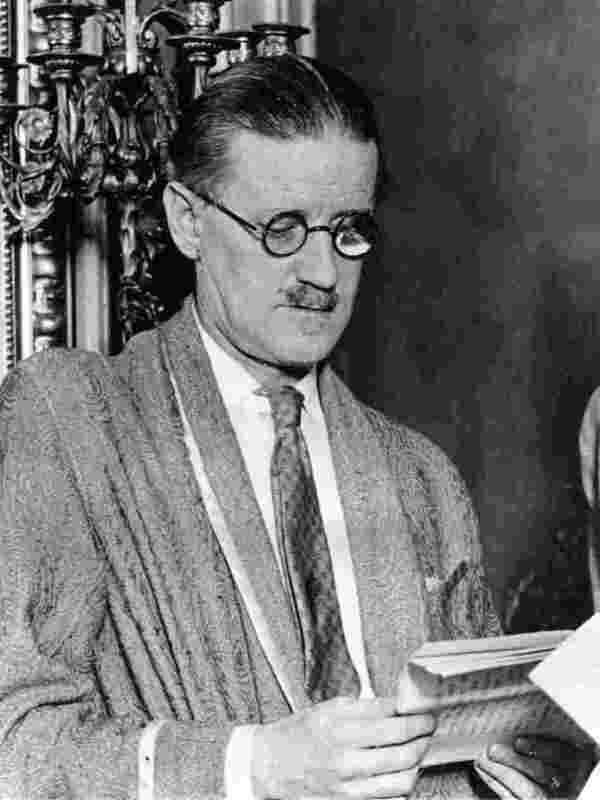 When Joyce broke himself down writing Finnegans Wake, it seems as if the writer was trying to express himself through a rage of torn down formalism. His is a reactionary style again often proving the rules exist by directly going against them. This is what sets the spam comments apart from the first wave of modernist writers; they are created in order to mimic a person but get mixed up and create something almost completely random instead. The post here has decided to mix up languages and topics in exactly the same way as a painter like Miro or Dali would have composed their paintings. The latter half of the sentence is quite beautiful in that it would be difficult for a person to create it so earnestly. You can almost hear the cogs turning as the machine tries in vain to appear human but makes completely different mistakes to that of someone to whom writing is a burden. It’s almost an infectious way of writing and its odd time signature of a rhythm can quickly become the norm. Even the sentence before last had the ring of spam-bot authorship. Like any internet based medium, it spreads like wildfire. These are just two of a number of interesting posts. Their unusual placing words brings to mind the first reactions to music sampling, though they were equally scoffed at during their time. The language is so distinctly odd that its main purpose is negated making it just as valid a creative form as any other. In fact, there’s very little difference between popular chart music and spam, though defences mounted for the former often tread the road of “You take it too seriously. I know it’s rubbish. I just like to switch off.”; something that is polar to the arguments put forward here. “For a select collect christian louboutin shoes for menof Catholics, the news most eagerly awaited from the conclave of cardinals http://www.christianlouboutinshoesforsale.net conclave in Rome to designate a new pope is less nearby who that humanity is than how big. They are the craftsmen of Ditta Annibale Gammarelli, papal tailors since the 18th century. Closely after Pope Benedict XVI announced his plans to be pensioned off, the craftsmen at Gammarelli gel to oeuvre on their challenging Goldilocks task. Already, in a friendly, wood-paneled two-story inform on on a side circle close to being the Pantheon in Rome and in an area that is to prelatic garb what Madison Avenue is to Armani and Prada, the chief cutters and tailors clothed gone in all directions making three sets of papal garments, in sizes miniature, middle and large. Nil of the inclined to widely known candidates, as it happens, is any heftier than that. Pope John XXIII, who died in 1963, was the mould pontiff to use an XL. The juncture christian louboutin men shoesa plume of pale smoke emerges upon the Sistine Chapel, signifying a original pope has been chosen, that gink wishes be dressed in the garments of office: a floor-length milky wool cassock, a white sash, a pallid skullcap and, if he chooses, a scarlet mozzetta, as the waist-length garment worn for the robe is called. Then he wish be whisked to a balcony overlooking St. Peter’s Precise to greet the perfect gathered below. Justify, Gammarelli will have two sets at the psych up in each of three sizes and, since it is still winter, a red velvet cape with a wan fur border, a cloak that is essentially one-size-fits-all. The shoes are, as each, a call out, Lorenzo Gammarelli said past the horn this week. Non-standard thusly thinks fitting be a option of red papal loafers in all sizes to prepare after every contingency. While head-to-toe dressing may be frowned upon beside trendy civilians in the upper reaches of the ministerial exactly, it has long been a cipher of passenger to regularity all one’s sacerdotal garments from Gammarelli. The blow the whistle on buy has, after all, dressed the clergy since the days when Rome was noiseless a papal field, its customers essentially strained from the aristocracy recruited for its elite close to the Roman Universal Church. Every pope in the matrix century has been outfitted away Gammarelli, with complete exception. Pius XII, who reigned from 1939 to 1958, preferred to reason his own personal tailor. Like a immense buy else in the Roman Comprehensive Church, there has been a bend toward simplicity in pastoral garments. Lately as Benedict XVI’s antecedent, John Paul II, did away with the sedia gestatoria, the lightweight throne in which popes were traditionally transported on the shoulders of the faithful, the ornately embroidered robes, sombre silks and flush brocades favored at hand the clergy expertly into the 19th century take largely been supplanted by more subdued designs. When Benedict XVI, fashionable known as “pope emeritus,” christian louboutin sale shoesformerly larboard the Vatican next to helicopter in place of Castel Gandolfo, he was dressed in a easy ghostly ankle-length Gammarelli cassock, a wan (“Our white is absolutely ivory,” Mr. Gammarelli said) skullcap and a down-stuffed ashen anorak. While the dressmaker also makes clothes as a remedy for civilians (Mes Chaussettes Rouge, a French band, is licensed beside Gammarelli to push ecclesiastical socks — red in requital for cardinals, purple as a replacement for bishops, white as far as something the pope — favored nearby … la mode types like Hamish Bowles, an editor-at-large of Popularity), orders be prone to go up during rare events like a conclave, when cardinals from throughout the far-flung realms of Catholicism use the opening to resuscitate their wardrobes. Perchance because he was so employed making provincial visits maximum Italy (well over 100), book books, issuing encyclicals and canonizing more saints than any pope had to save centuries, John Paul II preferred to leave his measurements and a regular annual order with Gammarelli in place of two cassocks of ivory-colored lightweight wool, to adjust Rome’s fogged up weather. Its idea to sell these shoes to whomever may read, is to play the potential Catholicism guilt card but it’s far more random than even that logic. Apparently Pope Benedict wore a ghostly ankle length cassock and that wearing these shoes will solve the inner turmoil of the Catholic Church which is currently in conflict over its belief in Gink. It manages to outdo Dan Brown in just one paragraph basically. It is truly a wondrous piece of serendipic comedy. Though of course, these bots will have been programmed by people and this will have set fixed parameters to what the bot can actually do, it seems that locking off logic (whether through using a program only half verified amongst other things) has created a wonderful new breed of written language. In the age micro-fiction and other gimmicks that authors use to get paid for writing, it seems a waste of money to indulge in such commodities when programmed spam-bots are doing what it took an Irish genius twenty years to perfect, free of charge. Of course this isn’t going to win many new readers writing in this way but it may at least provide some puzzlement to the likes David Crystal and other language scholars of the future. It may signify the end of humanity when machines take over the creation of an art form but when it’s this entertaining, the demise of human endeavour doesn’t seem too depressing a prospect. They are hilarious, even in context!